The early brewer gets the wet hops! It’s go time! 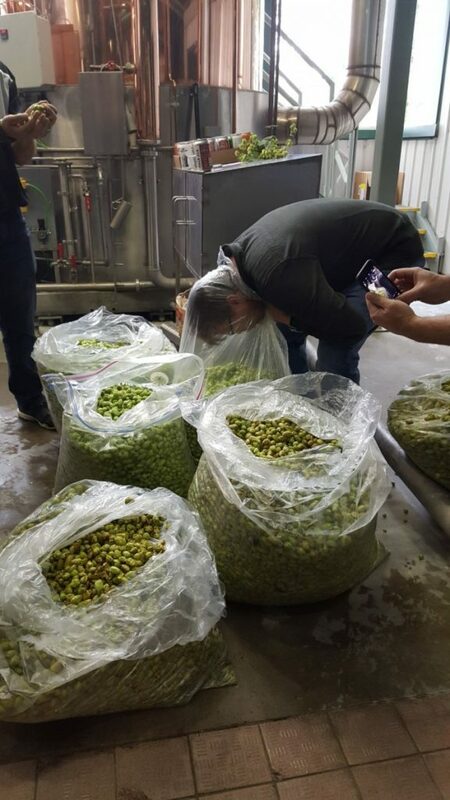 When you are dealing with fresh hops, you have to act quick. 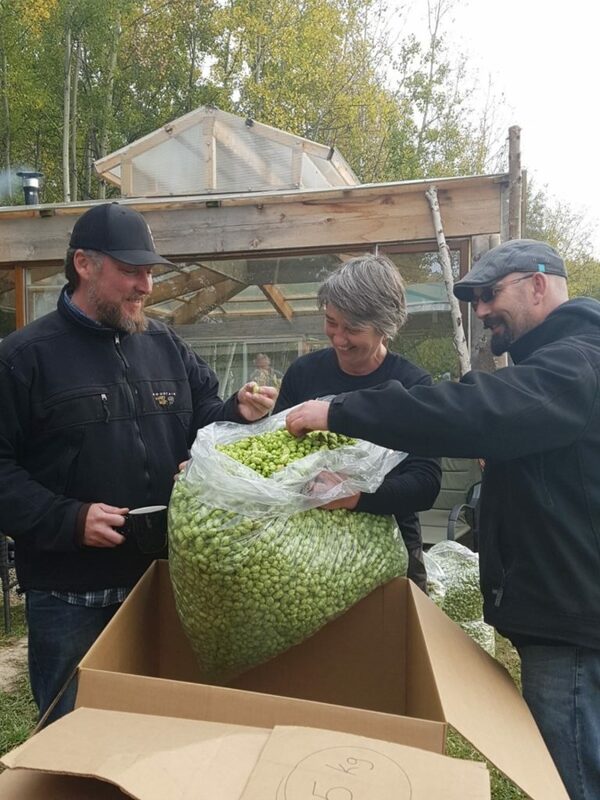 While brewers from Big Rock and Common Crown were with Karin from Northern Girls Hopyard at Windhover Farms harvesting the Cascade hops, brewers from both breweries were at Big Rock along with Catherine from Northern Girls Hopyard, starting the morning mash, in preparation for the fresh delivery. 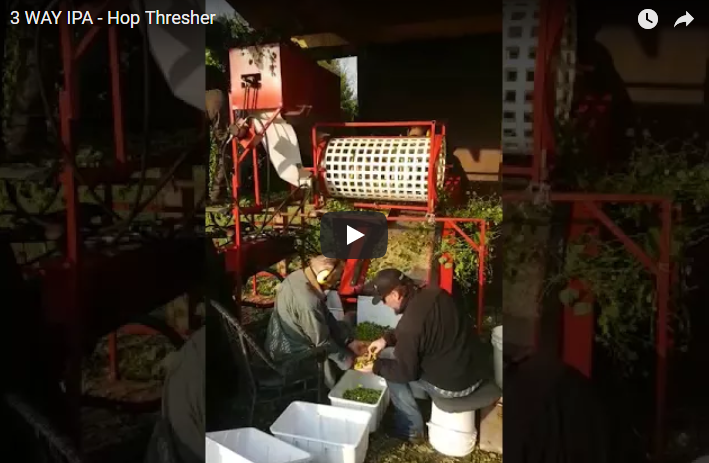 Once the hops are harvested from the yard, they are put through the thresher to separate the hop from the vines. It’s in the bag! Things are getting exciting! Now off to the brewery (a 3.5 hour drive from east of Edmonton to the Calgary brewery). 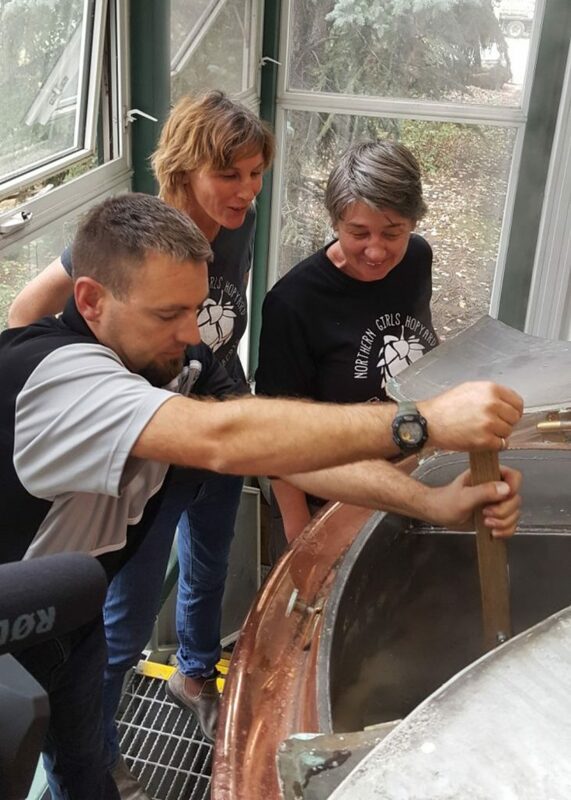 There were over 30 kilograms of fresh hand-picked Cascade hops gathered for this brew. 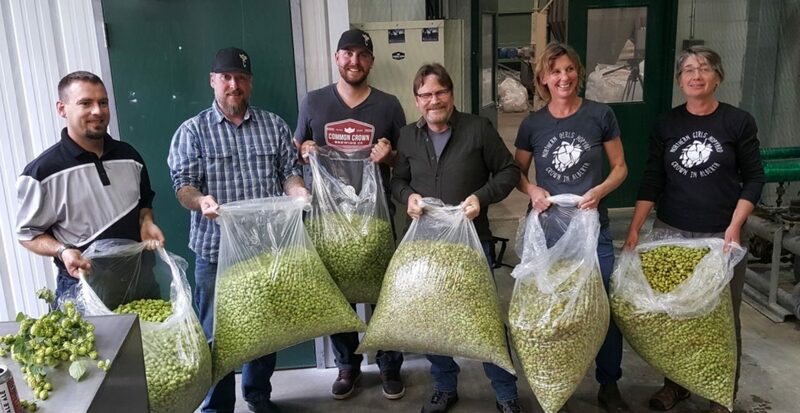 The hops have arrived at the brewery and Big Rock Brewmaster Paul Gautreau is getting right in there. 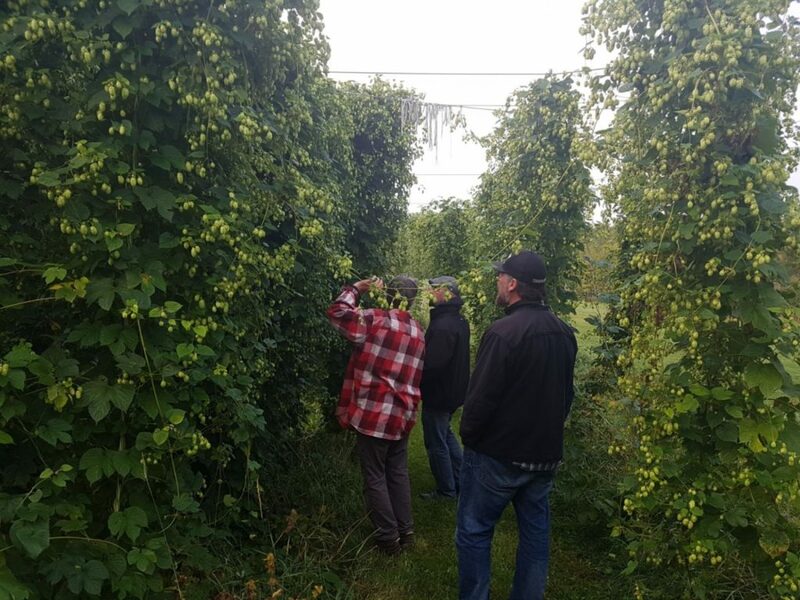 You don’t get any fresher than this…hops right off the vine and ready to go into the kettle. 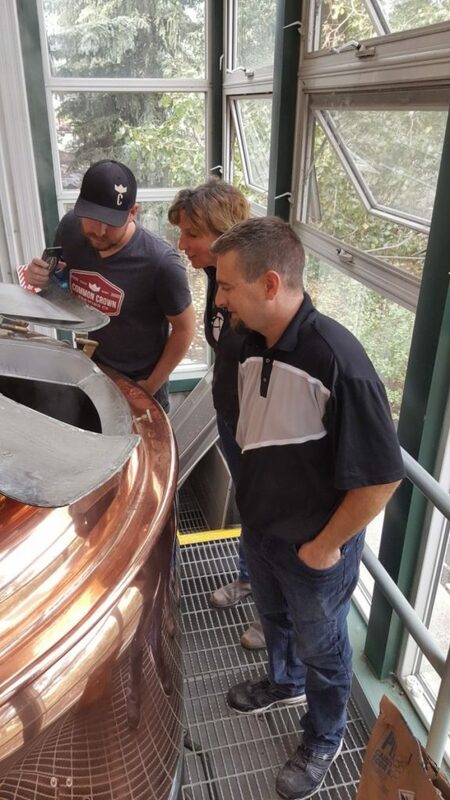 And now we wait to taste the beer…stay tuned Alberta!